Please note that classes may be cancelled for insufficient interest. and classes may be cancelled for lack of registration. Sign up at least a week before class starts, and take $25 off. Take any two or more classes, and take $25 off each one. The instructor is noted for each class. All classes are positive, motivational and fun! Class sizes are small to ensure lots of individual attention and training time. Enrolment in any class includes a $5 discount for any Drop In class, or Play Time Class for the duration of the training class. Classes run on an ongoing basis, and new classes will be regularly added, so check back often. Once a class is filled, if there is sufficient demand, another class will be scheduled. Classes are available in the afternoons and evenings, please contact us if you have a specific request. Classes are offered by Oxford Dog Sports, and by other clubs and trainers. Ring Rental $30/hr for up to 2 people/4 dogs $5 per additional person or dog. Includes exclusive use of ring, plus 10 minutes set up/tare down time on either side of the hour, so you have a full hour of training time. and give you a foundation to take to regular classes. These classes do not have a pre-requisite to enrol. are designed to teach a particular skill set. in a number of different endeavours or sports, depending on the class. and generally have several levels of increasing difficulty and additional skills. for both you and your dog. Higher level classes generally require successful completion of lower levels. without a clear class schedule. Participants will be working at a variety of levels. They provide a great opportunity to work on problem areas, work with distractions, or just get in more practice. Classes are loosely structured, and are easily adapted to individual needs. No need to sign up or commit to a series of classes, feel free to drop in as it suits your schedule. as well as to provide feedback from a licensed judge. May also be used as a correction match. provide socializing and provide learning experiences, in a safe and structured environment. It's a two part course, six sessions each part. and be able to have your dog drive the ball 20 feet into a goal. sanctioned trial at a basic level with practice and commitment. an organization under which I am a registered instructor (and soon to be judge). (the final class I will be available to witness tricks for titles if you wish). and anyone who is looking for some fun activities they can do at home! but may be appropriate for older dogs on a case by case basis. to develop foundation skills for a career in a variety of dog sports. hand touch, shaping, making choices, tricks, basic commands and leash work in a plan based nurturing format. Novice and Open levels of obedience. exercise drills, proofing, attention activities and practice run-throughs. Dog Sport Sampler - This class will explore different dog sports, to give your dog a chance to try something new every week. Nosework, Agility, Rally/Obedience, Barn Hunt, Clicker/Tricks, Weight Pull. Other sports may also be included. Focus on basic skills to develop a well-adjusted, well behaved family pet, in a positive, motivational setting. Skills taught include sit, down, stay, loose lead walking, as well as a reliable recall (come). Skills are taught using a variety of games and fun activities. Course includes crate games, place training, and relaxation exercises. preventing and solving problem behaviours (jumping up, destructive chewing, housesoiling, etc). 8 weeks - limited to 10 dogs. Focus on basic obedience for a happy, well behaved family pet. Skills taught include sit, down, stay, and come, loose leash walking, and introduction to off lead obedience. Subjects covered include responsible pet ownership, interacting with other dogs, and preventing problem behaviours. All family members are welcome to participate. Developed for dogs with existing behaviour problems, such as snapping, growling, running away, and general disobedience. interpreting body language, management strategies, responsible pet ownership, and safety. safety around dogs, and responsible dog ownership. Basic obedience is helpful, particularly for younger children, but not required. The dog should be an appropriate size and temperament for the age of the child. this course is geared specifically to them, and may be the best place to start. Dogs 6 months and up. This class focuses on training, practice and preparation of the 12 parts of the CKC Canine Good Neighbour and AKC Canine Good Citizen test. Five weeks are devoted to training, the last week to review, and the week following the final class is a sanctioned CKC Canine Good Neighbour test. The test is also available to outside participants. Ever wonder about clicker training? but they and you will have a ton of fun and learn some silly behaviours. and will build the knowledge necessary to use clicker training effectively, whether for dog sports, tricks, or just for fun. If you have never shown a dog before, this is the class for you! as well as review the rules, requirements, premium lists and entry forms of the various show-giving organizations. and includes Intro to quarry, tunnels, climbs, rat indication, as well as a review of the rules. to try it out and see if you would like to pursue it with regular classes. It is also designed for dogs with SDDA experience to introduce the UKC scents and provide practice time. It is NOT a regular training class, but more to allow you and your dog to 'play' with something new. A review of the UKC rules and titles will be included. the drop in class provides the opportunity to practice individually, as well as group exercises. A different rally course will be set up each class for run-throughs. examination by judges, table training, and the opportunity to practice showing your dog to his very best. Feedback and suggestions are available. different areas for small dogs and large dogs. Games, toys, and lots of activities to socialize and tire your puppy out! Owners will learn how to read body language, calm the overactive puppy, redirect attention, and keep their puppy safe and happy. Supervised play time for social dogs over 6 months old. Games, toys, and activities in a safe setting allows dogs to indulge their social tendencies in a controlled environment. 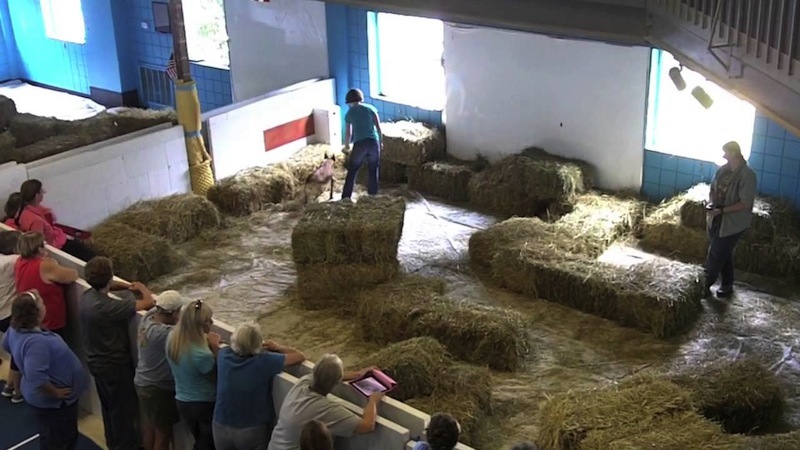 Large and small dog areas, as well as a 'Full Blast' zone, will allow each participant to do what he loves best. when to intervene, and how to call their dog out of a situation, as well as providing stimulating mental and physical activity. This class has been designed to prepare dogs and handlers for advanced and Excellent. We will review advanced / excellent signs, break them down, and practice courses in preparation for trial. This class has been designed to prepare dogs and handlers for Novice Rally. who want to further develop obedience skills. Rally & Nosework will be introduced in this class as well as other equipment. This drop in program is usually only for dogs and handlers that I am currently working with on conditioning. I am opening this up for dogs and handlers to come try out FitPAWS equipment and discuss their dogs conditioning. I would ask that you contact me prior to attending. 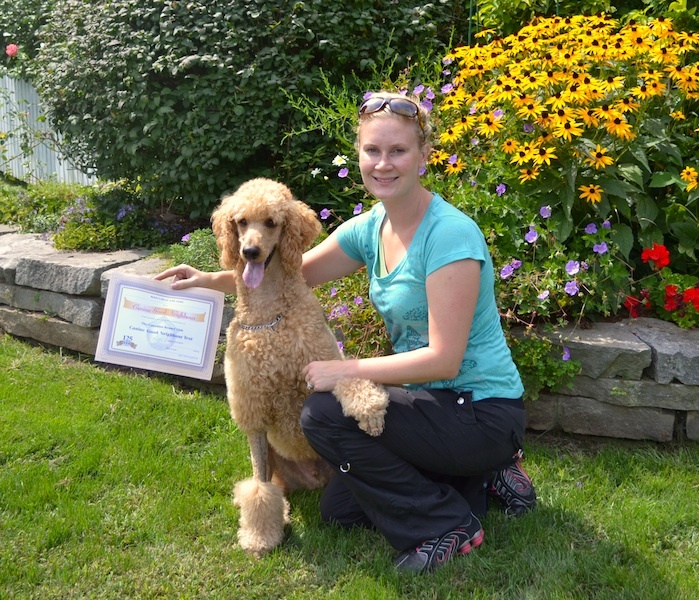 This class is geared towards dogs that are looking towards trailing. From the beginner to the experienced, we gear our classes to each dog-person team's needs. of breeds and breed standards. We will also cover various incidents that may occur in the show ring. We will help you get show ready. This class is the first step for puppies & handlers that are looking towards a career in performance. In this class puppies will learn the basics of obedience as well as Puppy Power activities on FitPAWS equipment. and would like to further develop develop and refine obedience skills. This class would be suitable for both beginners, and more experienced dogs needing practice time. If this class fills (and I expect it will), I will schedule another, so if this day/time does not suit you, let me know. This class is the perfect chance to try it out. The dogs do not learn anything useful, but they will have a ton of fun and learn some silly behaviours. and will build the knowledge necessary to use clicker training effectively, whether for dog sports, trick, or just for fun. This course is designed for dogs with little to no weight pull experience. one, but having your own properly fitted harness is preferred. how to calculate increments and passes in competition, differences between UKC and NWDA pulls. Due to the shorter length of the course, dogs should have some experience with walking on a loose lead and basic obedience commands. Dogs without this foundation will be accepted, but the handler must be prepared to provide more practice time at home between classes. The purpose of the course is to learn, practice and review the requirements for each of the 12 component parts of the CGN. The week following the last class, students will be able to take the CGN test for a reduced fee. The test will also be open to the public. This course is designed for dogs that already have some training and experience in agility. and also to review the UKC philosophies and scoring. Full courses will be available.